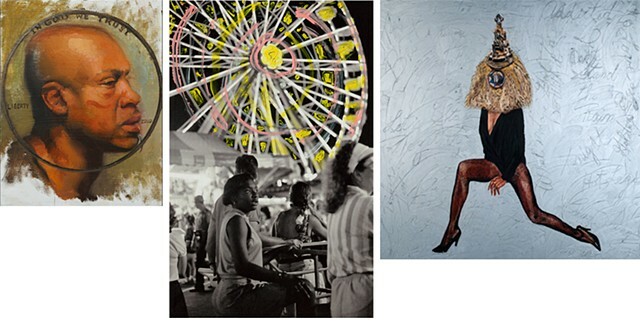 Please join us at the PRIZM Art Fair opening reception on Thursday, December 4th, 7-10pm to view and celebrate the artwork of artists Sylvia Maier, Ming Smith, Margaret Rose Vendryes and other dynamic, contemporary artists at the Miami Center for Architecture and Design. Salient works will be presented that highlight the diversity evident in contemporary visual art practices today, including painting, sculpture and mixed media installations. PRIZM will also feature the work of emerging Miami-based artists of African descent, such as T. Eliot, and Asser Saint Val. These artists redefine their world and bring into focus socio-political and cultural issues pertinent to the people of African descent in Miami and beyond.